The "CCF Whole Life Summer Challenge" - How to? Ok, it's go time - let's get you a lifestyle most people can only dream of! CCG Classes, 1p. Max 6p per week. (Have to be signed off by your coach). 10min of Mobility, 0.5p. Every day of the week. (RomWOD counts). Eat Clean, 1p. We will provide you with a list of what is not ok, you give your self 0/1p each day. (+)20min Outdoor Activity, 5p. Max 1 per week will give points. This has to be something that uses your fitness. 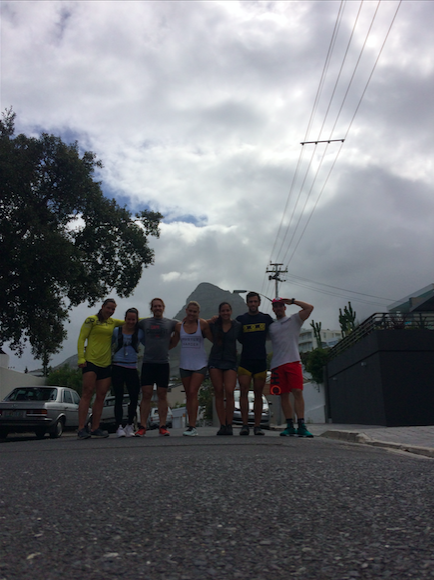 A hike, a touch rugby game, a 5k run. (You must hashtag #CCFWholeLifeChallenge for the points to count). You can collect your score card in the CCF Boxes from Friday the 30th of October! At the end of the 8 weeks we will reward the members with the most points with cool prizes sponsored by CCF and Nutritech! Straight Forward: Just rock up for class. Give it your best. Walk out of there feeling like a super hero (or hobble down the stairs depending on the WOD), just don't forget to have your coaches sign you off for each session! Pretty straight forward tho. We do not force you to eat Paleo or anything, but if you haven't done the Whole 30 for 21 days then we really recommend you to take anything out of your diet that you could be bad for you! 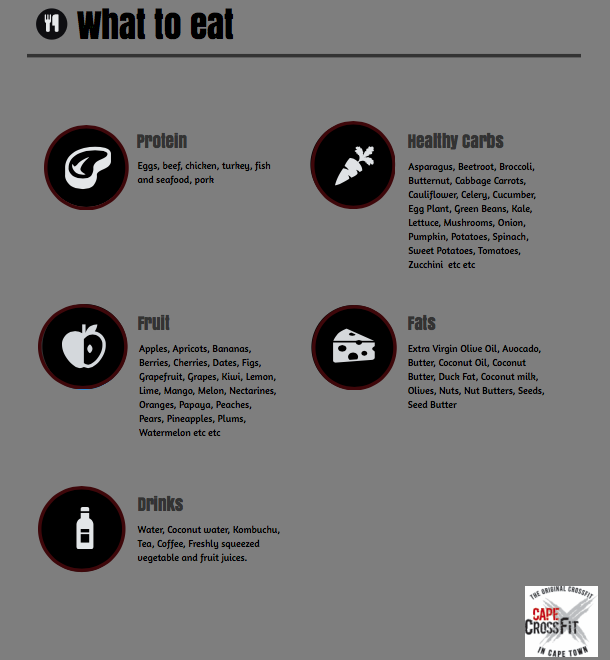 Check out this blog post from our Nutritional Advisor, Coach Tash, which explains what you can eat and what not. If you have ANYTHING that is not on the healthy list during a day your score for that day will be zero. Any kind of dedicated mobility work for 10 minutes or more is enough to give you points! We recommend you to vary your mobility work and it can be done either before or after class in the box - or even at home. RomWOD is always a favourite of ours! 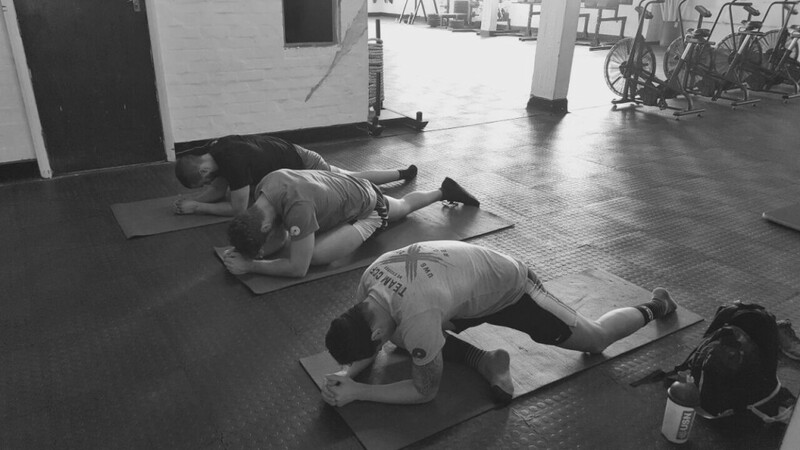 Serious athletes knows that working on your performance include taking care of your body - here is some of last years CCF athletes UWS athletes doing RomWOD in our Gardens box! These should be your "go to"-sessions each month to be honest. 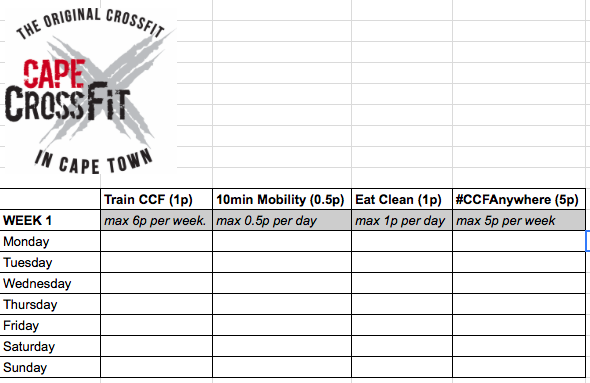 All CCF members have an assigned coach that can help them with anything specific they want to focus on, or simply sit down and chat about your training in general. We are here to help, and we are pretty damn good at it - contact YOUR Assigned Coach today to book your sessions! Outdoor Activity, 5p per week! This is one of the things we believe are the most important: use your fitness outside of the gym! We are great at making you better at Pull Ups, lift more weight, and improve your fitness - but all that is pointless if you don't use your fitness.. Any kind of outdoor activity that can count as making you fitter and healthier counts, the only trick is that it has to be +20 minutes long. How about playing touch rugby on the beach for an hour, running a 5k, climbing Lions Head, or any other outdoor activity that you think can benefit you? Anything goes, you'll get your points as long as you hashtag #CCFWholeLifeChallenge in your social media posts. Get to class tomorrow Friday and start earning your points. The Eating Clean and Mobility pieces are based on an honesty system while the Classes & Goal Getting Sessions needs to be validated by your coach. The #CCFWholeLifeChallenge posts will be validated but you still fill them in on YOUR score card each week specifying WHAT you did as an outdoor activity. For the "Performance Challenge" we need you to sign up by bringing R100 in Cash to the box and then make sure you fill in your score card that will be provided in the boxes and hand it in to your coach! For the "Nutrition Challenge" you can still get your measurements done by setting up a Goal Getting Session with your Assigned coach or Coach Tash ([email protected]) but remember that the sooner you get the measurements done the longer you'll have to improve. Final Words from our Head Coach. These challenges we regularly put out there are there for many reasons, but the main reason is to help you focus on getting healthier and fitter. When I moved down to Cape Town almost 6 years ago one of the things that attracted me the most was the opportunity to an extremely active lifestyle. There are few places in the world where the beaches, mountains, woods and anything else you would dream of is as accessible as here. Cape Town is a place where you can fully be a human being and I thoroughly hope that as many as possible of you will join in on these challenges, where the Whole Life Challenge's "Get Outside"-part is the one I am most excited about! I my self have a rule that I have to get outdoors once a week as a bare minimum and in summer I try to extend that to at least 2-3 times per week. Climbing Lions Head before work, going to the beach and do some yoga or simply do a running session to improve your fitness does wonder for not only your health & fitness but also your soul. Go out there and go after life.